It is important to pay attention to your body and its needs during your 60s. Whether you are trying to stay healthy for yourself, your spouse or to see your grandchildren grow up, there are many things to keep in mind at this age. 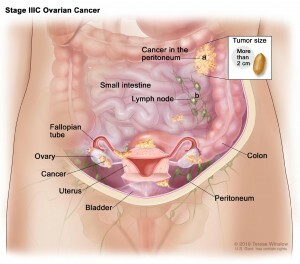 Unfortunately, there are no known causes of ovarian cancer. It occurs when there is a cancerous tumor inside of a woman’s ovary. Some signs include belly bloating, continual vaginal bleeding and cramps in the abdomen, lower back or stomach. Getting checked at your gynecologist regularly could help detect and prevent the problem from spreading further. Some women need to get hysterectomies, which is the removal of the entire uterus. Some women who have had this done choose to take estrogen to give their skin and hair the extra boost it needs. Do further research on the diseases that run in your family so you’re aware of symptoms you need to look out for. This will always prepare you to take the proper precautions to try to prevent certain diseases. Taking care of your body as you age is one of the best gifts you can give yourself. Being knowledgeable about the diseases that can affect you is important so you can avoid certain unhealthy behaviors that may agitate or bring about certain conditions. Osteoporosis makes bones weak and brittle. Brittle bones can be easily broken or fractured and this is most definitely hazardous. Women with Osteoporosis to tend trip and fall a lot, which can lead to hip issues like breaking and result in needing a replacement. Dietary supplements exist that may help patients with osteoporosis. It’s crucial to get enough calcium and vitamin D. One way you can get your daily dose of vitamin D is by spending 10-15 minutes outside in the sun and soaking it up in your skin. As we get older, we realize we aren’t as able to do all the things we once did. Some of us become frustrated and find it hard to adjust to this new way of life. With aging comes losing loved ones, not being able to be as active, forgetting things and all this could make one feel down. Heart attacks occur when the blood flow to the heart is severely reduced or completely cut off. Over years of making unhealthy food choices, the arteries that pump blood to the heart get blocked by fat and other substances that stick together and form plaque. According to the American Heart Association, someone has a heart attack about every 30 seconds. This isn’t the best news for older Americans. There are no symptoms for a slow build up to a heart attack over a person’s lifetime, but there are many ways to avoid them. ● Exercise 2-3 times a week. This includes lifting weights, running or walking. Love hiking? Even better! ● Sleep. The amount you need is really based on your lifestyle and what makes you feel best. 8 is usually a good solid number, but some people can run on a lot less. ● De-stress. It is important to find ways in your life to relax. Meditate, do yoga or find some other kind of hobby to release your negative energy. ● Eat right. That saying about an apple a day, it’s true, it really does help in keeping the doctor –or in this case a heart attack away. ● Take aspirin. In small doses, this pain reliever has been proven to prevent clotting by thinning of the blood. Glaucoma is an eye disease that may result in severe loss of vision or even blindness. 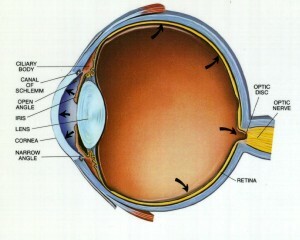 It is caused by damage to the optic nerve (pictured here) when too much pressure is put on the eye by fluid buildup. The best way to test for glaucoma is by getting a yearly eye exam where your ophthalmologist will dilate your eyes. Glaucoma isn’t painful and there are no symptoms, so it’s important to visit your eye doctor regularly. After 60 it is a good idea to prepare yourself for the next steps of your life. You may want to research some home health care businesses and find the right one for you in case you decide to hire one in the future. It is also a great idea to have a will completed and put away somewhere safe. This will ensure everything goes smoothly in the event that you are not around to take care of things any longer. Remember that a will is not something that you should suddenly handle in your 60’s or later. Most people should decide to draft a will as soon as they have children or have any assets to their name, so this can be as early as your teen years in some cases. Just make sure to take care of yourself, your family will thank you for it. 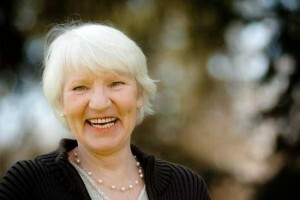 Tara Heath is a journalist who loves to write about health and wellness, especially for senior citizens. She currently volunteers at a senior center and is inspired daily by the elderly and their caregivers.